Setting up a new house or Eco friendly building companies in Kerala? 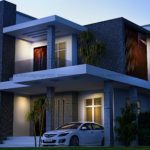 Going for a Budget home plans in Kerala? Make the right choices & it is possible to work on a real budget home plans in kerala, be green and still have a nice design. Build it small! – Check out just how much space do you really need? Keep it small – Instead of building a bigger house, get rid of the unwanted clutter & stuff you don’t use. Keep the design simple – Instead of going for complexity in design that calls for so many unwanted elements that add to the cost. Simple design does not equate to lesser quality or impact, but can keep it affordable. Open Floor Plan – Keeping the plan simple. Fewer walls means less material. In addition, the visual connection between spaces increases the perceived space, making it feel larger. Insist on a good plan design to eliminate wasted space. Smart materials – Yes, when budget is that important, keep a tight reign on the money spent on materials. Make real and hard cuts, think of bold colors and durable materials. Color can bring in a marked difference to the design; durable materials save money on future maintenance. Splurge strategically – No need to sacrifice everything to go frugal. Decide where it really matters if you want to have a few really nice things & the remainder of the house can be more modest. Be it in the public spaces like kitchen, dining and living room, you can have a higher degree of finish while keeping the bedrooms and bathrooms simple. Customization – If you can customize works like carpentry, painting etc. you may be able to cut down the costs without compromising on quality. Ask your Architect or your friends before hiring a person to do the job. 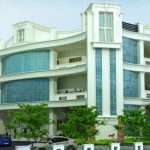 If you are planning to build a budget home in Kerala why not go in for the best! Check out the cheap home plans in Kerala done by Mariya Group of Architects, a team of dedicated Budget home in Kerala engaged in consultancy services in the field of Architectural, Civil and Interior Designing.